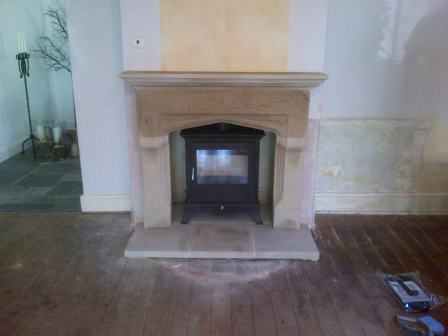 This project of installing both the Shelburne stone fireplace and Beaumont stove was for a great client in Farnborough. 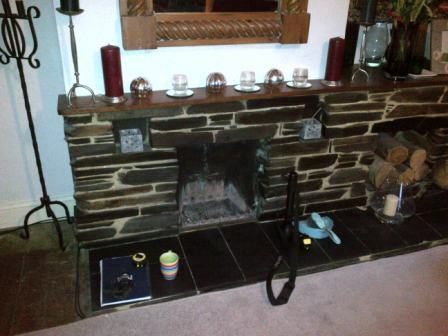 Both products selected for the living room area are from Chesney’s. The Shelburne is a Tudor chimneypiece of impressive proportions. The Shelburne has heavy jambs which are shaped to project forwards at the midpoint. 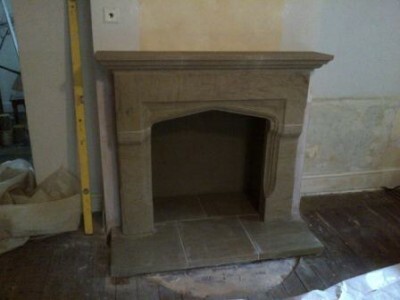 The fireplace we fitted for our client was carved in limestone. 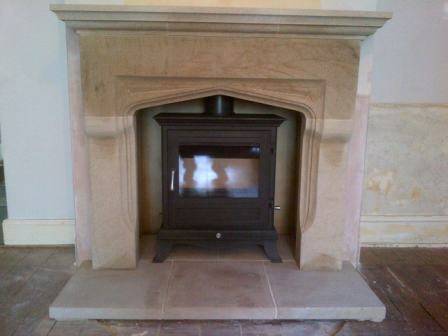 The Beaumont stove we installed is an elegant addition to the decorative scheme of any room. It has classical detailing and a handsome appearance. Furthermore, it also comes in a range of colours. Just changing a fireplace in a room can have a huge impact as the images show. As a result, the room transformation amazed the client enormously. Finally, for more information about this product, including sizing, please visit the Chesney’s website or contact us to discuss your requirements.